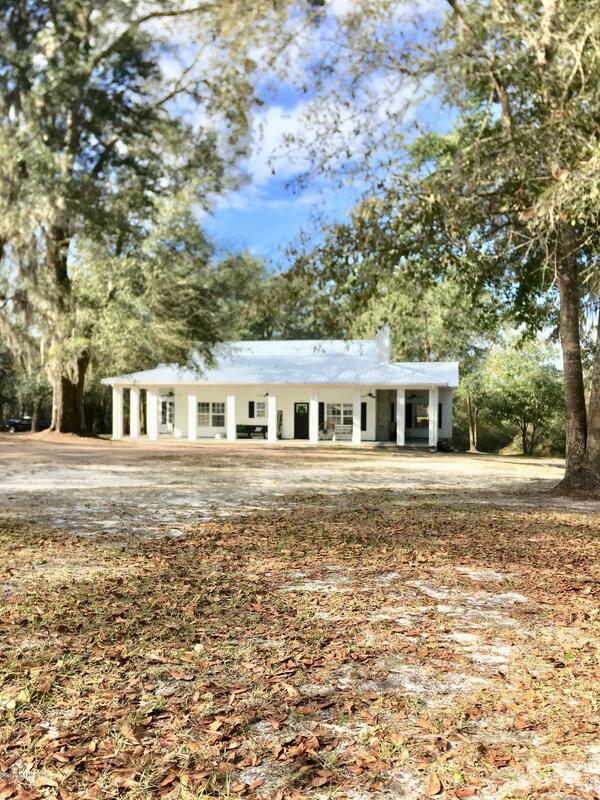 Beautiful 3 bedroom, 2 bathroom modern farm house located on 21.8acres on the St. Mary's River with 500 ft of river frontage. Trail already built which goes almost to creek before the river. Plenty of wildlife to see; deer, turkey, fish. Home has open space concept. 10 ft ceilings. $100,000 of updates to home. Brand new metal roof put on 2018. All kitchen appliances bought in 2017. Granite countertops, 42 inch stainless steel range hood, Shiplap and laminate flooring throughout most of the house. Recessed lighting throughout most of the house. Brand new back porch. AC and 4 inch well installed in 2017.